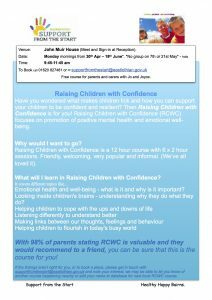 New Courses of Raising Children with Confidence RCWC Hadd poster Spring ’18 – and Raising Teens with Confidence (suitable for parents of “Tweens” too) are popping up over East Lothian for the Spring Term. Following on from National Playday on August 2nd, with the theme CELEBRATING PLAY to mark 30 years for this event, there is more good news. 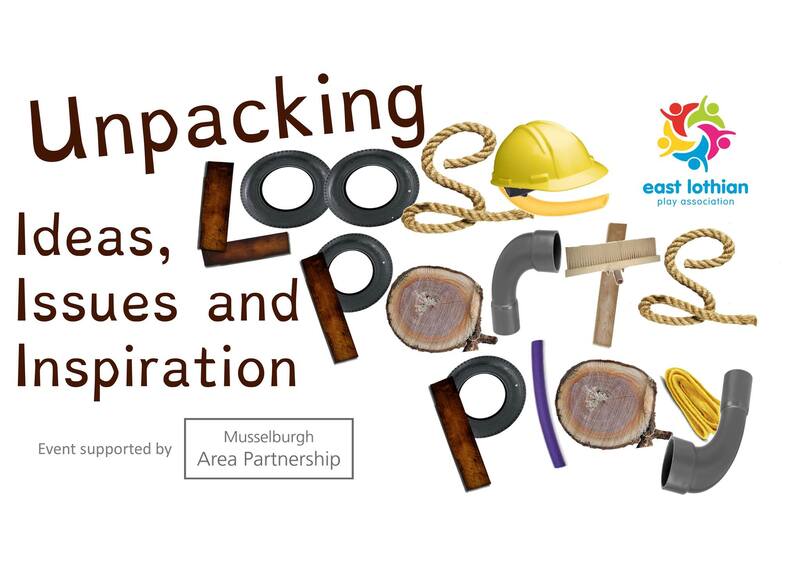 The Unpacking Loose Parts Play event in East Lothian has 150+ booked places already also. 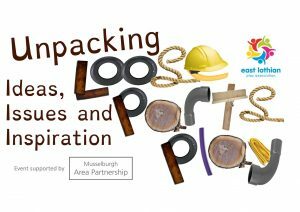 Taking place on Monday 28th August in Musselburgh, the event has a tremendous line-up and will provide answers to many questions around open ended play, it will share inspiration and ideas to help participants develop this amazing resource and highlight excellent practice already taking place here in East Lothian. Speakers include Kirsty Wilson of Scrapstore Bristol (PlayPods), Theresa Casey, President of the International Play Association, Kelly Clarke, Loose Parts Play Development Officer for Support from the Start Haddington and organised through Stacey Marko, Play Specialist and East Lothian Play Association ELPA. 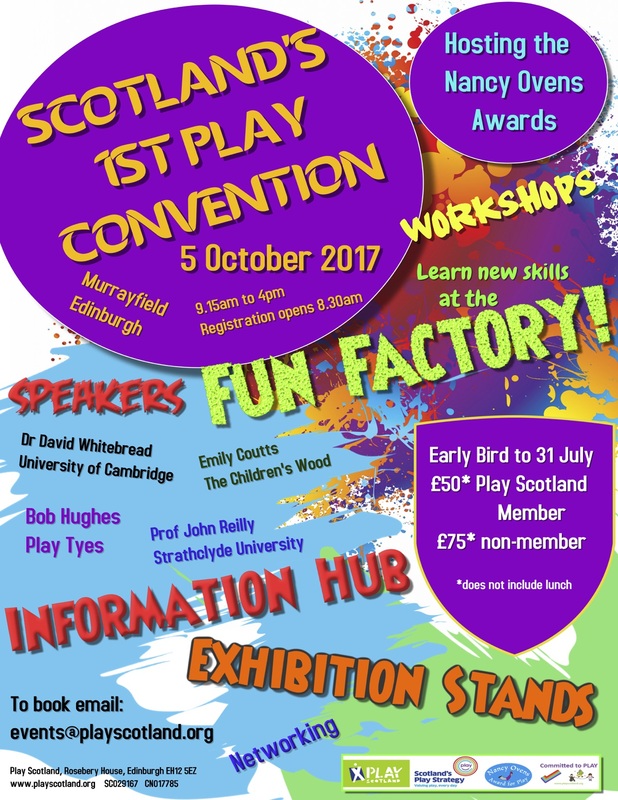 Play Scotland is very proud and exciting to announce it will be hosting Scotland’s first Play Convention in October. With a great line up of speakers, the Nancy Oven Awards and many exhibitors, there is no doubt this is going to be a wonderful event to attend. To book, click on link below. PlayTalkRead has developed 30 different fun activities for parents to try as part of the #30daysofplay campaign. During the month of November, they will be offering families in Scotland the opportunity to win a family photo-shoot up to the value of £1000 by sharing a photo of themselves and their child participating in one of our suggest activities via our social media channels. For more information on the campaign visit http://playtalkread.scot/30daysofplay or read through the playtalkread social media kit. Attached here you will find an electronic version of the Bookbug Outreach evaluation summary and you can read the updated evaluation pages online. These not only contain the summary, infographics and full year four report but also some fantastic case studies on the different ways Bookbug can be utilised in the community. Scottish Book Trust delivers other programmes alongside Bookbug. For more information on how they change lives through reading and writing, please see the annual report for 2015/16. 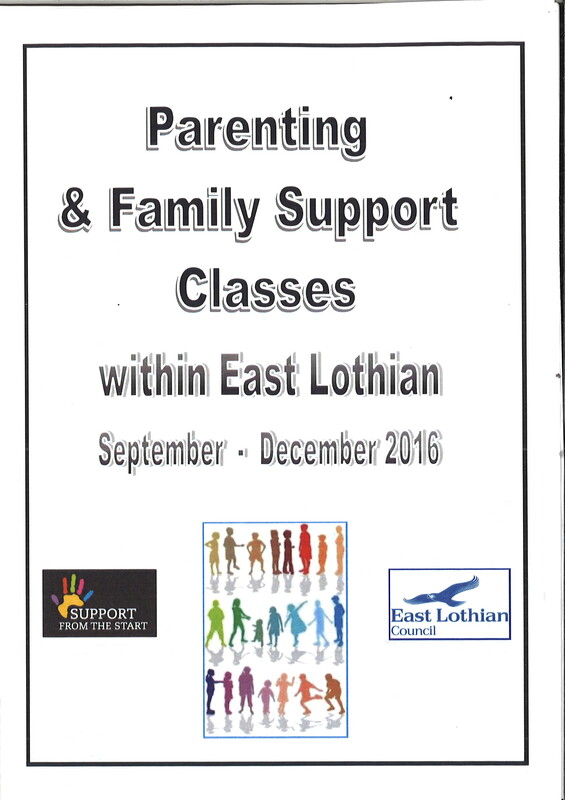 Have a look at our new pamphlet which will be parents/ carers in East Lothian information of classes in their local area. We are hoping to update this on a monthly and would welcome any more information about classes in your area that are open to the public. Improve family relationships and manage children’s difficult behaviour. The groups consist of weekly 2 hour sessions over 6/ 12 weeks during the school term. 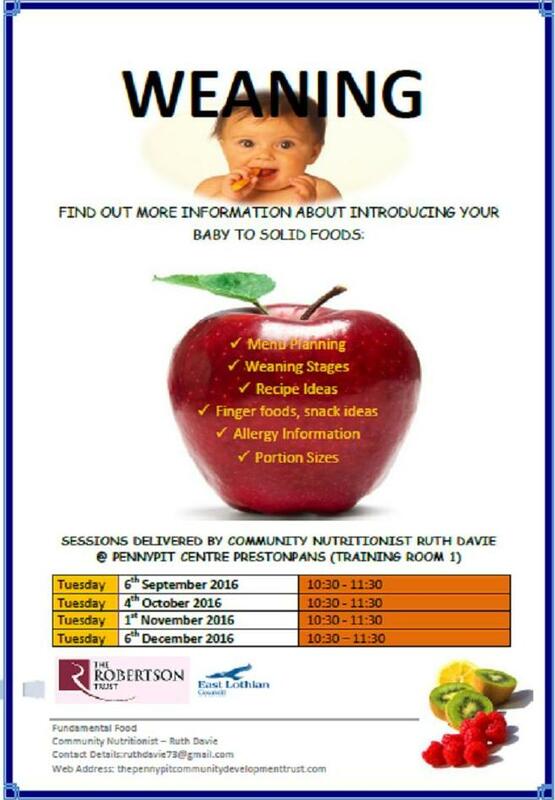 For more information see the poster below. 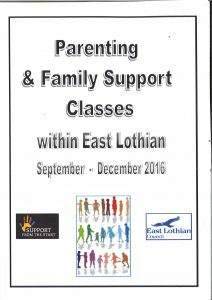 You can refer yourself by calling 01875824309 or any professional who is involved with you (school, G.P., social work, health visitor etc) can refer you to the group. 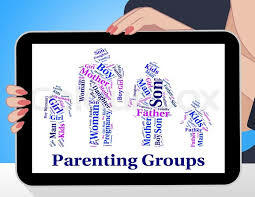 Attached here is a Referral Form for Parent Group. Have your say on Play in East Lothian! We want to find out what you think about opportunities to play in East Lothian. Our survey is for adults and children and is open from August 3rd until 30th September 2016. 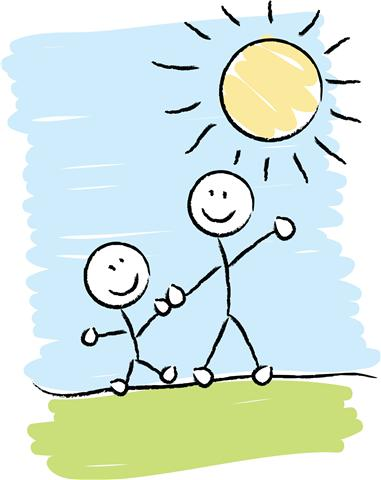 We’ll use your responses to help us develop our Play Policy for East Lothian. We look forward to hearing your views. Please share this survey with others too! 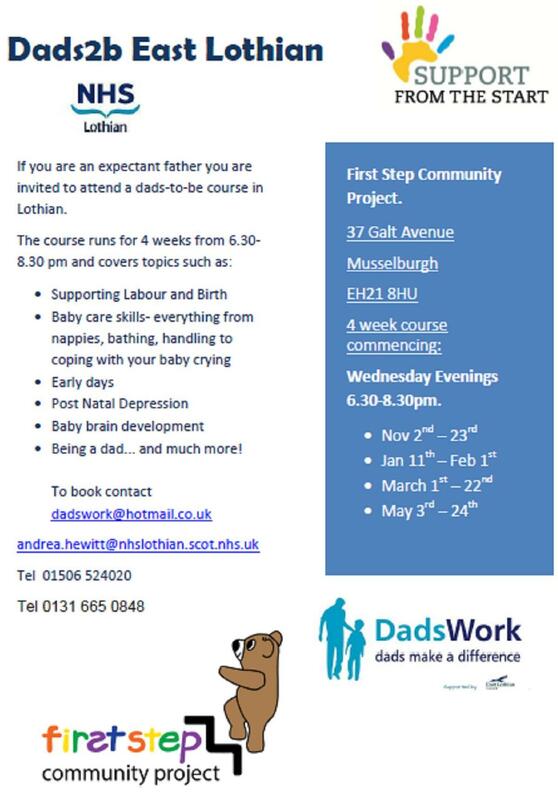 If you are an expectant father you are invited to attend a dads-to-be course in Lothian. 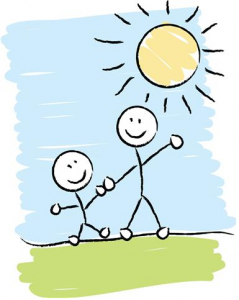 Being a dad… and much more! Subscribe by email to get an email alert when new posts have been published!